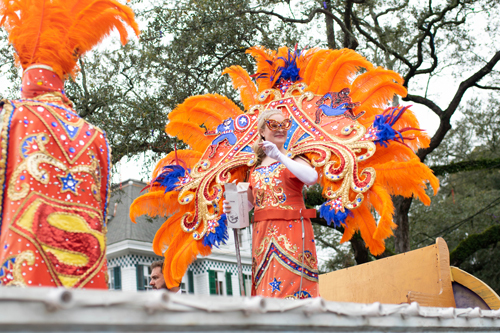 The Rex parade stopped at the Morris-Downman House at 2525 St. Charles Ave. during the parade on Mardi Gras, as it has since 1907. 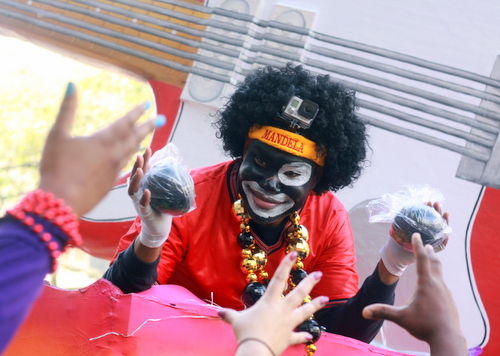 This time the toast was more poignant. 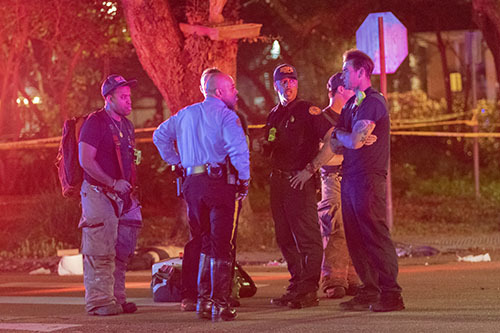 The mansion, historically significant to the Rex organization and to New Orleans Mardi Gras, was devastated by a seven-alarm fire in February. 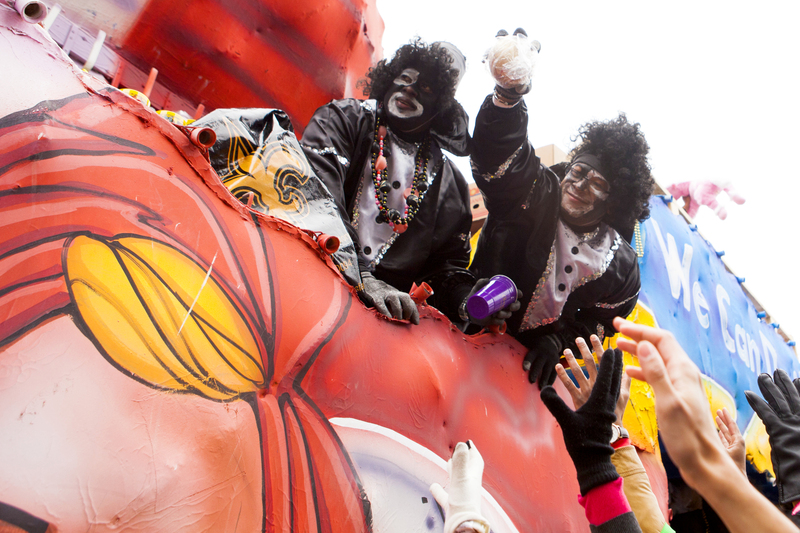 It has been home to many Rex members, including Billy Grace, a former king of Carnival, who shared a toast with Rex. 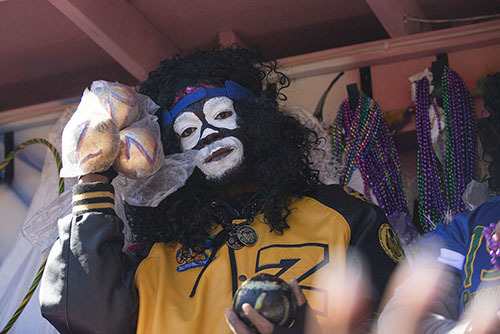 The Golden Eagles Mardi Gras Indians took to the streets of Uptown on Tuesday, showing off their new hand-made suits. 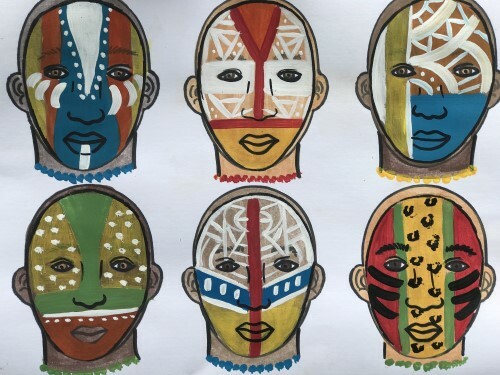 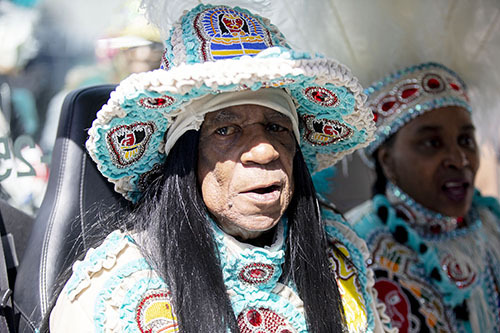 This year was different for their Big Chief, Monk Boudreaux. 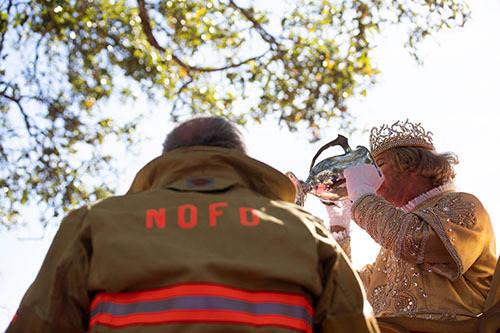 Before they marched, Boudreaux married the Big Queen of the Golden Eagles, Chellene Bailey. 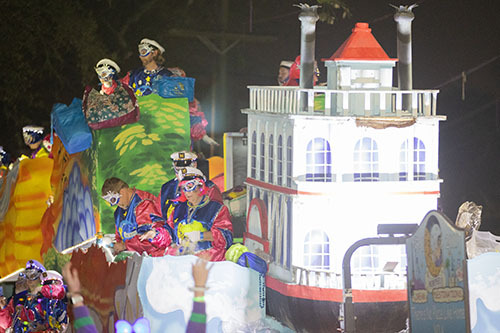 Bacchus rolled on Sunday with the theme “Starring Louisiana.” The themed floats depicted movies or TV shows that took place or were filmed in Louisiana. 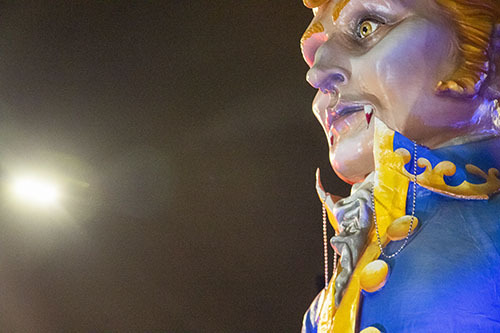 These included “NCIS,” “King Creole,” “JFK,” “Interview with a Vampire” and more. 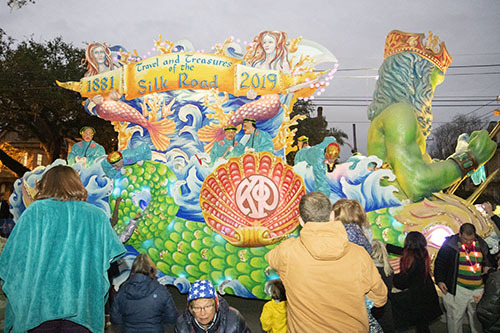 The rain had passed through the area by the times the bands started up, so the parade could showcase local marching bands in all their glory. 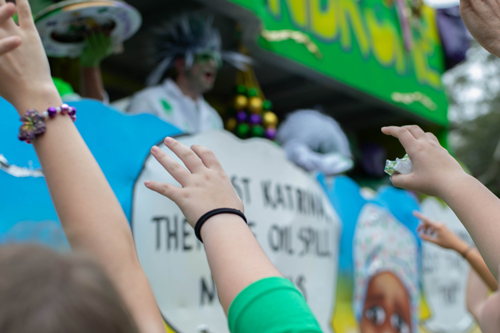 The crowd reaches towards the “Toxic Shock Syndrome” themed float at Krewe of Tucks 2019 parade. 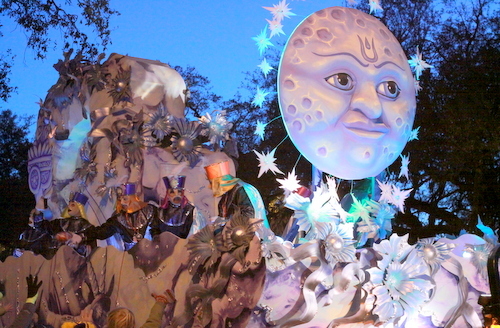 The sun was bright Saturday morning (March 2), making a beautiful ride for the Krewe of Tucks. 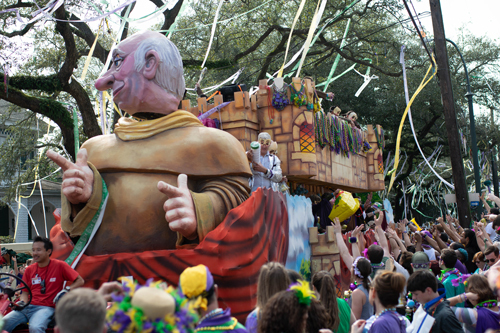 This year’s theme was “Tuck Gets Sick.” Following tradition, 37 themed-floats rode down St. Charles Avenue under tissue paper dangling from oak trees. 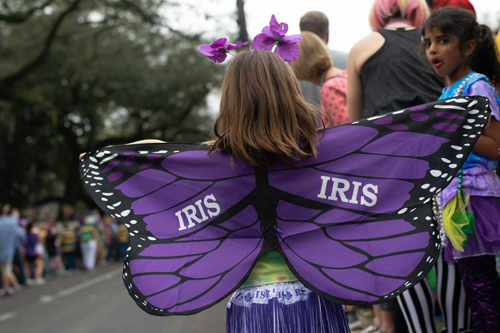 On Saturday morning (March 2), the Krewe of Iris gave a look “through a child’s eyes.” Detailed, extravagant floats were decorated to center around the theme of nostalgic characters. 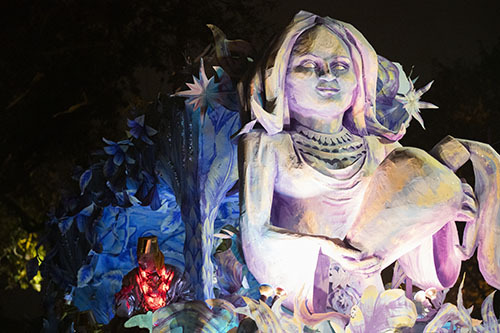 Despite talks of potential showers, the rain held up for all 33 floats. 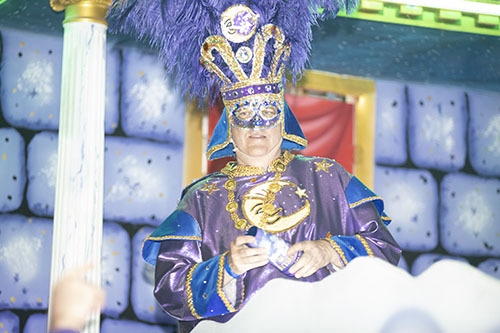 The Royal Court rolls to lead the Krewe of Iris. 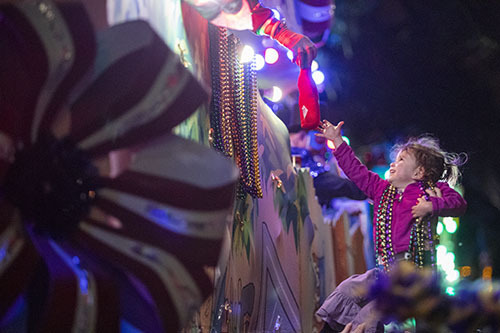 With severe thunderstorm threatening the New Orleans area, today’s daytime parades will roll one hour earlier than originally scheduled. 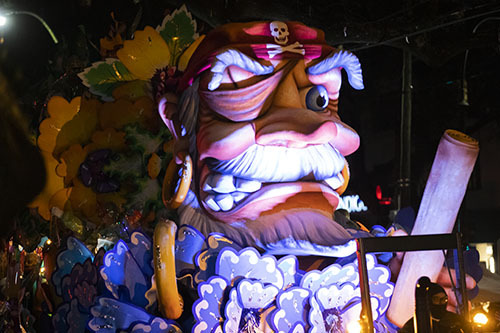 So that they can move out ahead of the storms, only the floats will parade. 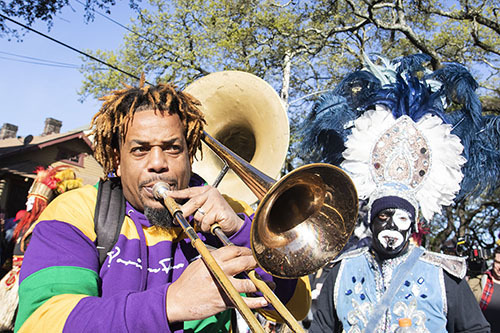 No bands or dance troupes will perform in Okeanos, Mid-City or Thoth. 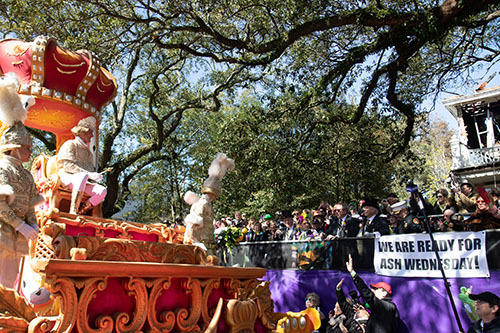 Bacchus currently remains as scheduled.